A dozen balloon releases are scheduled this year in Sweden to gather scientific data on the stratosphere and to improve CNES’s balloons. Zero-pressure stratospheric balloon in Kiruna. Credits: CNES/A. DERAMECOURT. Giant balloons are set once again to drift over the Arctic Circle to explore Earth’s atmosphere. Inflated with helium, the zero-pressure stratospheric balloons will be probing the layers of the atmosphere between 30 km and 40 km above the surface. “Today, this is the only way we have to get into the stratosphere quickly and economically,” says Thien Lam-Trong, deputy director of balloons at CNES. 6 scientific flights are scheduled this year from Kiruna. Credits: CNES/A. DERAMECOURT. 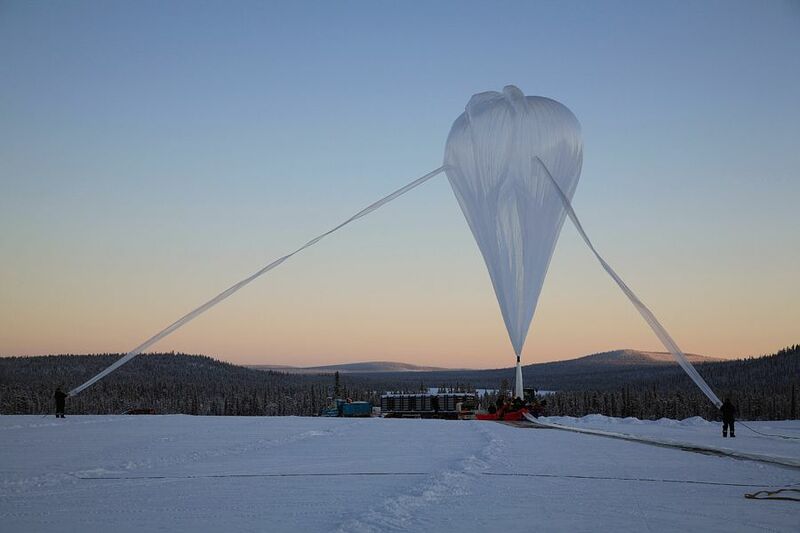 This year, the instruments in the balloon gondolas flown out of Kiruna will be measuring water vapour, ozone, nitrogen dioxide and carbon dioxide in the stratosphere, as well as the atmosphere’s electric field. Additionally, an instrument will be validating data from the Japanese GOSAT satellite, launched in 2009 to observe greenhouse gases. 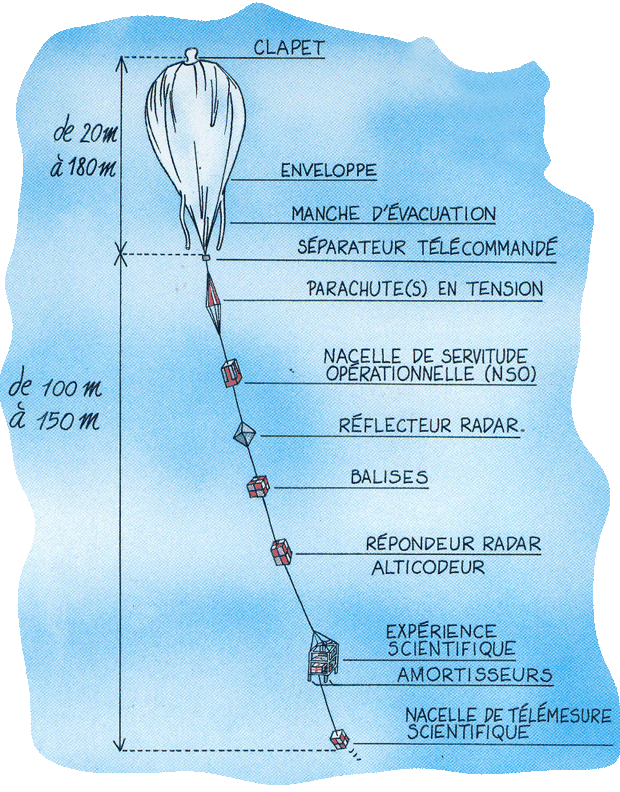 Validating satellite data is one of the main thrusts of CNES’s balloon activities. 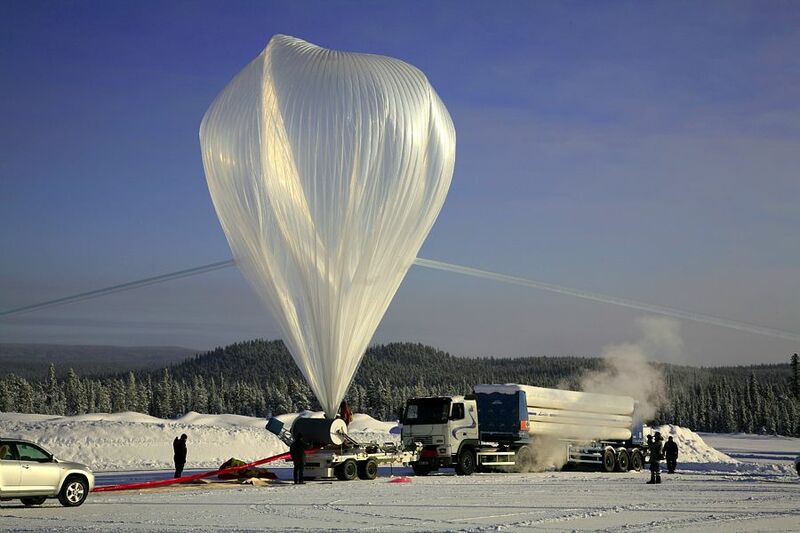 In all, 6 scientific balloon flights are scheduled from Kiruna throughout April. Main elements of a zero-pressure stratospheric balloon. Credits: J. P. Penot CNES/ill. B. Nicolas. A series of technological flights will also be taking place in May. These flights are designed to improve balloon and flight train recovery systems. “Last year, we tested a delayed-action parachute system for recovering the gondola,” explains Thien Lam-Trong. A 30-strong team of CNES engineers and more than 40 scientists from partner research laboratories will be working together for nearly 2 months on site to gather valuable data and pursue CNES’s balloon activities, second only in importance to the United States’ balloon programme.